When would you like to stay in hotel Hotel Consuelo? Hotel Consuelo provides an outdoor pool, free bike rental and a free shuttle to its own private beach, 350 metres away. 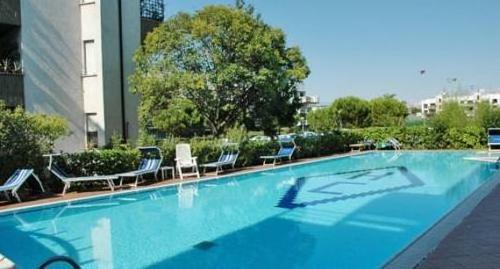 It is located in central Lignano Sabbiadoro and offers free parking. The hotel’s air-conditioned rooms are simply decorated and feature wooden or carpeted floors. Facilities also include satellite TV and private bathroom. Some rooms come with a balcony. The American breakfast includes sweet and savoury products, both hot and cold. One of the restaurants serves Italian and international cuisine. 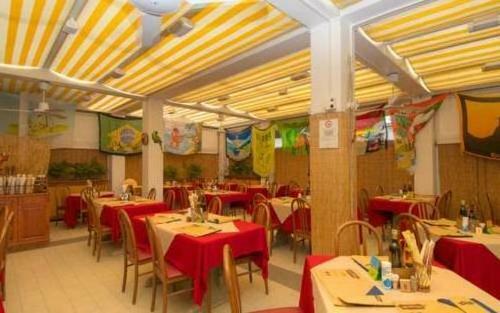 The Bio Branco Restaurant specialises in Brasilian cuisine and meat. 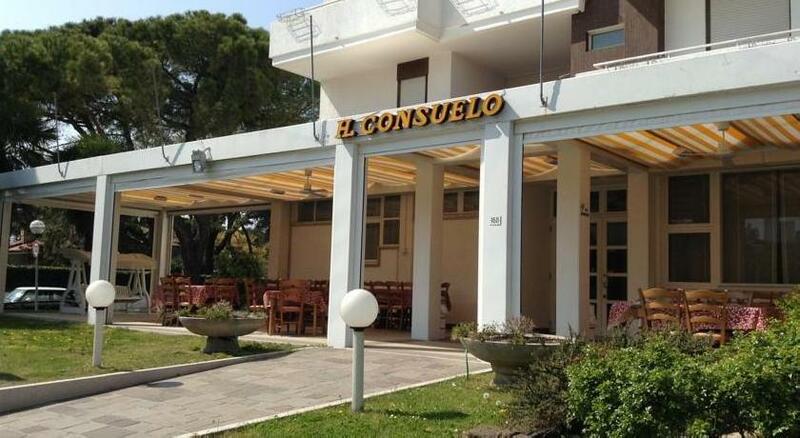 Consuelo Hotel is 300 metres from a bus stop linking with Latisana Station and Trieste Airport. These 2 along with Venice Airport can also be reached via the hotel’s shuttle service, at extra costs. The restaurant serving Italian and international cuisine is open from 1 April until 30 September. The swimming pool is only open during summer. We have included all charges and information provided to us by Hotel Consuelo. However, charges can vary, for example, based on length of stay or the room you book.